Imagine your event headlined by Mike Balance. How much buzz would booking Mike Balance bring to your event? GTB helps customers Book VIP Shows, Corporate Events, & Private Engagements with top talent for hire. GTB represents clients as they book talent like Mike Balance for their event. Click to start The Event Booking Process with Mike Balance. 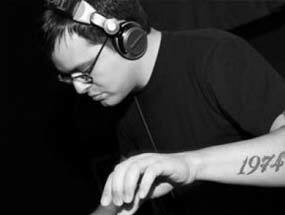 Mike Balance is a DJ, a Producer, and a composer of electronic music from the USA. Involved with electronic music for over 18 years, Mike has forgotten more electronic music than you've probably ever heard. Having released over 100 tracks, touring internationally, and collaborating with dozens of others, Mike Balance has established a solid reputation as a quality DJ and producer in the USA. At the age of 14 he discovered electronic dance music in Houston, TX and by 16 was beginning to produce tunes with his friends. Three years later Mike attended his first underground warehouse party in Austin, TX and was changed forever. Less than a year later Mike Balance was making music in Boise, Idaho, solo. In Boise Mike his DJing quickly turned into hosting parties, developing the local scene, and defining an underground dance scene in Boise. After years of DJing and helping throw events, Mike decided to get serious about his music and purchased an MPC 2000 which lead to many hours of fine tuning his sound and perfecting his trade. Today that skill is still being meticulously refined during mikes busy recording and performance schedule. In 2000 Mike caught the eye (and ear) of Soul Phusion Records who began releasing his original material along with their partner label Insight Music. Over the past few years Mike's productions have appeared on several widely distributed mixed CDs including DJ Dan's "Mixed Live", "Lift" and Richard Vission's "Automatic" in addition to landing on the charts of Bad Boy Bill, Angel Alanis, Charles Feelgood and Vitamin D. Recently Mike's original and remix work has appeared on labels such as InStereo, Mike's tracks have hit the top ten hot sellers lists on both Beatport.com and Dancerecords.com multiple times. His latest collaborative release, “Shake That”, has been #1 on Beatport for a few weeks now. : Shake That – by Mike Balance and DJ Dan. Remixes with the Mike Balance name have included; Lady Gaga, Blake Lewis, Princess Superstar, Uberzone, Afrika Bambaataa, Dave Aude, Classixx and many more. Mike has worked with record labels such as InStereo, Nettwerk, Burn the Fire, Play Me, Blow Media, Solmatic and Audacious. Mike is a top ten selling artist on Beatport.com and DanceRecords.com. Click for Mike Balance Event Booking. Start booking Mike Balance now! GTB is a celebrity talent booking agency for paid events. We do not handle media requests, or interviews. GTB will not relay messages to Mike Balance or solicit donations on your behalf. While celebrities do donate their time, they will always charge some kind of fee to do any event, project, venue or celebrity appearance. Booking Mike Balance Not Quite Right? We have the entertainer for your Event! Putting together a memorable event isn't easy. Booking Mike Balance certainly raises the profile of your show or event. GTB is ready to help you make the event flawless, so your attendees remember Mike Balance instead of a mix-up. Private Parties, Concerts, Ceremonies, and any other big events require both planning and personnel; Global Talent Booking can help you every step of the way, from booking to advertising a public Mike Balance event. Should you prefer a private Mike Balance showing, Global Talent Booking has the tools, connections, and expertise to help you manage a velvet roped evening, elegantly! Global Talent Booking has worked with exemplary talent for over 15 years. Booking Mike Balance and other world class entertainers is our expertise. From private concerts featuring some of the most famous names in the music industry to corporate events DJed by the best in the industry, we excel at showcasing your image. GTB is ready to help you book your favorite musicians, djs, and celebrity talent; creating memorable entertainment experiences is what we do everyday. Global Talent Booking Agency services help you with event talent booking. Our services include talent scheduling, contract negotiations, marketing/promotions, agent and/or agency interaction, and so much more. We can help you book Mike Balance, advertise a public event or help you manage the guest list. Our event booking services can even include the press work after your Mike Balance event. Global Talent Booking is here to help you mind the details so your event with Mike Balance is `World Class` the first time, each time, and every time. Our entertainment agency will work with you to put the right talent in the right situation world wide. Global Talent Booking is an International talent booking agency. If you are interested in an international Mike Balance event booking, click here to get started. We know what it takes to organize events that exceed everyone's expectations, no matter where they are in the world. We look forward to helping book your`s. Click to Start Booking Mike Balance. Celebrity Talent, like booking Mike Balance, makes all the difference. Contact our Expert Mike Balance Booking Agents. We are ready to help you start coordinating your Mike Balance event immediately.